A few weeks ago I found myself in a tricky situation. During my exhibition, a potential collector asked me how much I was selling my art for — and I blanked. That was embarrassing. I did not prepare for this conversation at all. Back to the story. Luckily, I personally knew the buyer and I told them I'd get back to them, and they still wanted to buy the piece when I finally did get back to them 2 days later. This may not work every time, because sometimes buying art is an impulsive decision, and if you give people too much time to think, they'll find reasons not to buy in the meantime. Don't do what I did and ignore the question of pricing before anyone asks you. You need to come to the art buying conversation prepared. If you have no idea how to figure out how much to charge for your creations, I've got you covered! I'll show you the exact process I used to figure out the pricing for my art. Grab some paper and a pencil, you'll be doing some second grade math. Don't worry, it's actually very easy. Pricing art is tricky because it's a unique item unlike any other, and you can't precisely account for abstract things like "creative genius". Every calculation you make is going to feel odd because you're not just selling your time here, you're also selling a tiny piece of you. You might feel, like I did, that your painting is subjectively more valuable to you than the price you're selling it for. But objectively, you can't put the "right" price tag on it, because you're a no-name and no one is going to pay you that much (unless you have some very rich friends, in that case you're more than welcome to send them my way). Before you go comparing yourself to other artists, I want you to do an exercise. 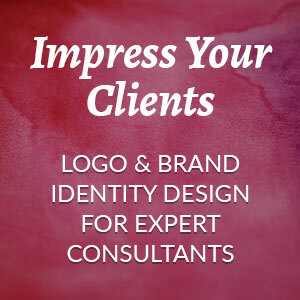 You'll figure out your hourly rate and your daily rate, and this will help you in pricing your art. Hourly rate is not an ideal thing to use when you're a professional artist with a lot of sales under your belt, but in the beginning you need some kind of direction, and an hourly rate is going to help you with that. 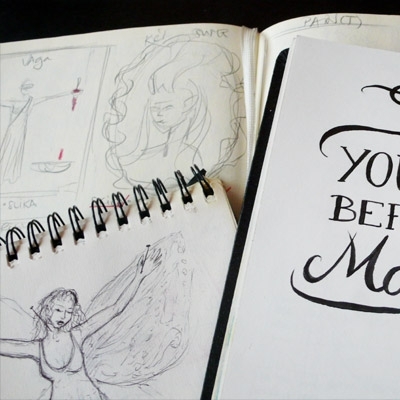 Depending on your skill and experience, determine what monthly salary you'd be most likely to get if art was your full time job, and you managed to sell all the art you created in a month's work. Please be realistic. If you're a novice, you can't expect more than a minimum wage. If you're very skilled, than choosing a salary appropriate for a commercial illustrator or a designer in your area would be more appropriate. Divide your monthly salary with 22 working days, and you have your daily rate. Divide your monthly salary with 176 working hours in a month, and you get your hourly rate. Keep these numbers in mind for the next part of the exercise. How long (in hours) did it take you to make it? If you don't know the exact number, don't worry, just make a guess. How long in days did it take you to make it? Based on the numbers you got from 1 and 2, how many art pieces like this can you reasonably complete in a month if you were producing art full time? How much did the materials for this particular piece cost you? After you've answered these, you can deduce how much this piece of art should cost so you could cover your costs and earn your desired salary. You could do this for all your art types/sizes for the sake of an exercise. Since selling doesn't happen in a vacuum, the price you came up with is still subject to change base on the market prices and the humbling realization of how much your name is worth. If you want to sell your art locally, you're going to need to compare your art prices with those of local artists. I understand that if you're living in a small area (like I am), there may not be many artists who create the style of art comparable to yours, so you're going to need to look at those that do stuff that may be completely different subject-wise, but is done in a similar medium using a similar process. It's good to know what renowned artists are selling their art for. For me that was a huge wake-up call, because I realized that art is much cheaper than I thought. If you're selling art in a local art market or a gallery, you can't demand prices that people online are asking if your local market can't bear it. To find out the prices, you can either go via the old fashioned scouting in your local galleries and art markets, or if there are galleries and local artists that sell online, you can do it from the comfort of your own home. If you're selling online, then look at global art marketplaces such as Etsy, Artfire, Bigcartel, as well as artists that are selling from their own websites. Make note of sizes, mediums and prices for each artist you encounter during your research. Then when you have at least 10 artists and their pricing sheets lined up, find an average for every size and medium. This medium price is a reference point for you to set your prices. Make an honest assessment where you stand in terms of reputation and skill, and price your own art accordingly — either below, or above the reference point. Now take that piece of art from the first exercise and adjust its price based on the research you just completed. Do you need to lower it? 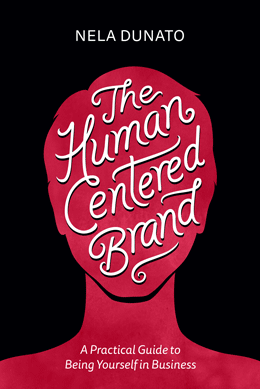 Can you comfortably raise the price and still be within the price range of your competitors? If you calculated your daily rate and monthly salary based on this new price, would you be able to make a living? If you have a day job, you could sell your art below your nominal price to make some kind of income off your hobby and cover the costs — that's what a lot of amateur artists do, which is one of the reasons why art is as cheap as it is. You might decide it's not worth to you to sell your art for that price. Maybe you'd rather give your work as gifts and hold onto it until you raise your profile with some art shows and awards. Both options are valid, and it's up to you to decide which one you're more comfortable with. If you decided your prices are OK, move on with creating a spreadsheet where you will list all your works available for sale, and make a note on the following parameters: dimensions, medium, year, price, buyer. A note on dimensions and mediums will help you quickly sort out which artworks are in the same price range, and adjust higher or lower depending on the size. The year might become relevant if your skill or style had changed over the years, and you intend to sell older works for less. The buyer is the new owner's contact information (name, email, phone), so you can see at a glance where your works are now. You don't know if your pricing works until you've actually sold a piece. Before I told the price to my collector, I was worrying sick because I didn't know if they would believe me that my art is worth it. Now that I confirmed that other people believe me, I know that I can base my other prices on that single painting that sold. Please be aware though that just because people don't buy the piece right away, it doesn't mean that the price is wrong. Maybe you're just hanging out in front of the wrong audience. Maybe your Etsy listing isn't seen by the folks who would adore it if they just had the chance to stumble upon it. When a customer admires the piece and is engaged and asking questions about your art, then their reaction to your pricing is the one to pay attention to. There is a "hidden" parameter that can make or break your price credibility, and that is your confidence. If you followed the steps I described then you know your price is valid, you're not just pulling the number out of your thumb, and you know that selling for less would actually cost you money. This means that as you state your price, you're fully standing in it. You believe it. And if you believe it, other people will believe you as well. When you go out ans tell your prices, try to remain as calm as you can and say it with a positive, confident attitude. If you're looking at your shoes and your voice is shake, they won't buy it — figuratively and literally. As I mentioned earlier, if you start making a lot of sales, this means your art is in demand, and you can ask more money for it! Also, since your price to begin with was probably very low, you need to be on the lookout for signs that you may be deserving better prices. Every time your reputation changes or your process and your art improves, it's time to raise your prices. You can quietly start bumping up prices of new pieces by 10 percent and see how people respond to them (they probably won't even notice, and will buy anyway). Or, you can make a big spectacle of raising your prices and notify your current collectors and people on your mailing list that your prices are going up, and if they want to pick something up at their old prices they have until a certain date to do so (this is a very effective way of running a "sale" without having to offer discounts). 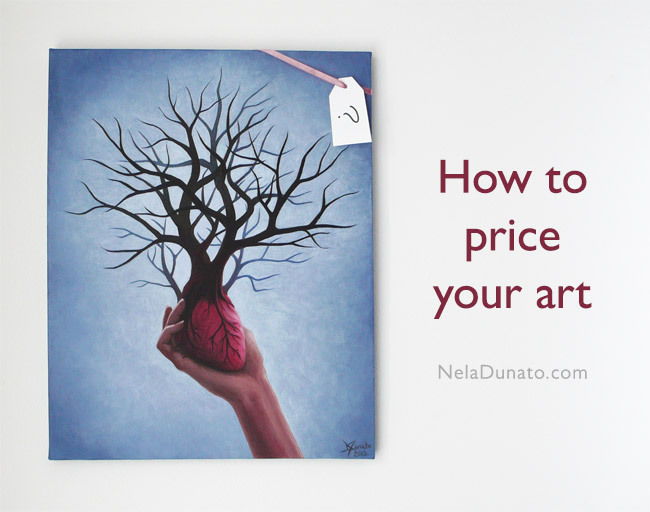 I hope this guide to pricing your art was helpful to you! If you know someone who needs it, please share this article with them. 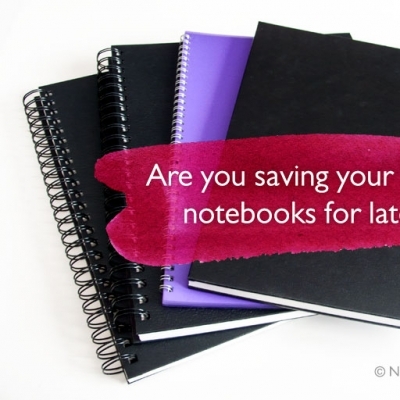 Are you saving your nice notebooks for later? Learn why you should stop it. Thank you for putting this article together. I ran through your pricing process to price my latest piece and i will give that a shot. I know that I suffer over pricing because I put so much thought and skill and sweat into each piece, that for me its worth a lot more than I am asking, yet people bulk at what I consider giveaway pricing! I also live in an area that sells art cheap so I understand what younare saying. I will go back and recalculate all my pieces and adjust and see what happens! This all makes a ton of sense and I'm grateful that you've laid out this information so clearly. So here's my question: What about pricing prints? (Specifically, those that are not limited editions.) I just create the occasional piece on the side, but it's an area that I find confusing. Sure, you can figure out the cost of materials for the print, but then where to go from there? What is the value of something that has already been created and could potentially be printed many times? I'd love to know your thoughts on that. Thanks! Another thoughtful and informative post, Nela! This should be required reading for artists. I bet a lot of beginning painters don't think about the pricing for pieces they hang in their shows, they are so happy to just get them shown!! 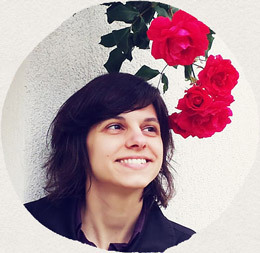 @Dani: That's so awesome to hear! Oh I totally get you, if you live in an area where people don't value art enough it can be really difficult to sell what your art is worth. Don't get disheartened by people's reactions. No matter how cheap your art is, it will always be "too expensive" for some people. Look into the possibilities of selling online, or traveling to art shows / art markets outside your area. @Nicole: I'm so glad to hear that! Now to answer your question, I'm really not an expert on prints because I've given up on selling them on my own. Long story short, I tried selling them at a local fantasy convention once years ago, I marked them up around 2x the printing cost, but I haven't sold nearly enough to cover my costs. So I just figured I'll let deviantART and Society6 do the work for me. Over there they sell from around $16 to $36 depending on the size (giclée and canvas prints cost more than that). I would advise you to take the same steps as for original art, minus your hourly rate (you need to account for spending time to actually get them printed, but break it down over the entire batch of prints). Figure out your costs, compare with others in your area, compare with other folks on Etsy & Bigcartel, adjust price according to your professional reputation and demand. $15-25 seems to be the standard range for 8x11 size (depending on the quality of materials used) so going out of this range would be unusual. See what works well with your costs. Wow, this is an extremely informative (and timely) article Nela! I'm helping my husband create a website and pricing structure for him metal arts and this arena is totally new to me! I will be forwarding this along to him to so that he can get a better idea about all the different pieces that one can consider when pricing. Great post! Though I'm not an artist - I sell my services. Your guideline at the top (especially factoring in your education) is super helpful! Thanks! It's harder if you're painting generic motifs. But if you're working on developing a unique vision and a style of your own, then your painting itself becomes the strongest selling point, and price will matter less and less. You will undoubtedly raise your prices in the future, that's not even a question! @Lisa, Thank you! I'm so glad you've found this helpful! :) Yes while I did aim specifically to artists, setting prices to physical goods is pretty similar to pricing your services. Thank you Tara, I'm so thrilled to hear this helped you form prices that are a truer reflection of the work you put in! This was more than informative. I've had issues with pricing my drawings ever since I started drawing what I thought could be somewhat plausible for selling. But in spite of setting the price, I still hesitate when it comes to actually naming it. And yes, I'm still a no-namer, I still have parting issues, and could still use some confidence boosting (especially by myself). Anyway, I really liked this post and I've already bookmarked it so I could read it over and over again whenever I feel like there's no price I could set on my works. (And we could all use at least something to buy the materials with, if not to cover the expenses, as well as all we chopped of us in itsy bitsy pieces put together in a bowl of artwork.) :) Thanks again, N! Dario, I am so glad this post was valuable to you :) Thank you for stopping by to read! I think that as artists we need to separate "price" from "value". The price is just a number someone has to pay to get access to your work. But the value is not a number, it's the effect the artwork creates in yourself and in the viewer, and is entirely subjective. thank you for your comment, I'm am delighted to hear that this article has been helpful to you! I wish you the best of luck this weekend, and hope you make it rain!